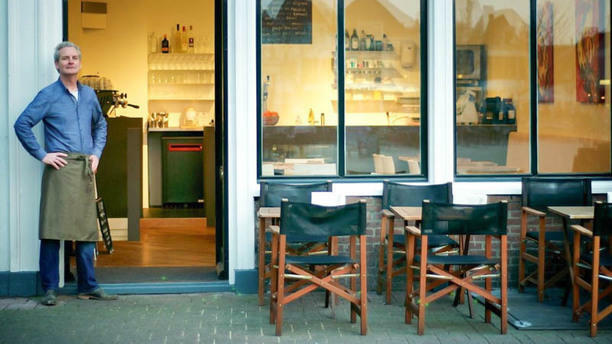 For an aperitif, a cup of coffee or to enjoy delicious dishes, you’re welcome in the center of Amersfoort. In Riposo they provide Italian indulgence. All fresh and you can taste it. In Riposo quality is more important than quantity. Do you long for a great night out, then you've come to the right place. Well situated in the center of Amersfoort. We took the 4 course menu good price quality of the products. We would have preferred our pasta al dente but the rest was perfect. Mooi concept met liefde voor koken. Heel leuk tentje met leuke formule, eerlijk goed italiaans eten wordt direct bereid met een heerlijk glas wijn erbij. Leuke gastheer en gastvrouw. The food was great, but simple at the same time - nothing overcomplicated. Wine was great, so was the coffee. The service was excellent, the owner will make small talk but won't disturb. I really liked the tempo as well, dishes arrived at just the right time. Definitely recommended!